There’s a method of filmmaking called cinéma vérité – true cinema. The form refers to a specific method of taking natural bits of life – rather than contrived art – and splicing them together into an unpretentious grasp at realism. 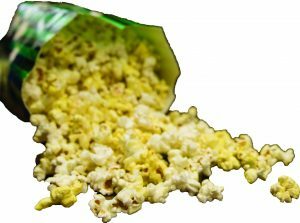 For the sake of this article, we’re going to re-contextualize those same words to question the modern state of the Americanized, corporate version of the screening room: the multiplex. The modern audience now rests in a perpetual state of entertainment. Whether it be through through smartphones, computers or digital boxes attached to televisions, media has never been easier to find and consume. People used to have to go out and seek entertainment; now it comes to the patron in a never-ending, compulsively watchable stream. But what this really does is redefine the status of the theatre. In a world where everything is available on-demand, what reason does a person still have to go out to the cinema? “The second best thing to do in the dark is go out to a movie with a date,” he explained. “Without the movies, what are you going to do? ‘Oh, come over to my apartment we have a date tonight and we’re going to watch a movie?’”– There is more to movies than Netflix and chill. Regardless of the values we subscribe to or the social choices we make; change is a constant in this world. But that doesn’t mean that our conditions and expectations necessarily change as quickly as industry does. While the very concept of the video store has eroded due to an increased air of obsolescence, Willick sees the cultural vacancy as a role for smaller cinemas to fill. Regardless of how it’s framed, the small-business owner – an odd concept when extended to an industry as globalized as film – is forced to adapt in order to survive. Both mainstream and independent theatre owners, by necessity, are forced to keep their ears to the ground and pay attention to consumer needs in order to stay relevant. And what it seems the modern audience wants is not just a standard film, but an experience. 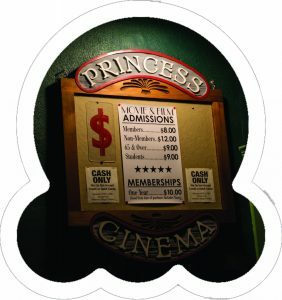 Special social events at the Princess have ranged from wine-tastings paired with films to premieres featuring director and panel discussions – a reflection that the state of cinema is not restricted to the mere use of the screen. 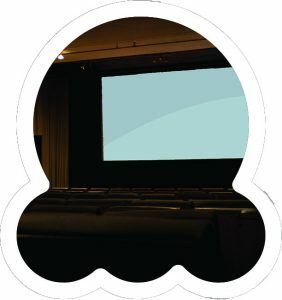 Willick has also applied the same sort of philosophy to the Apollo, hosting events like B-movie bingo and screenings of Monty Python and the Holy Grail where patrons are given coconut shells to ‘ride along’ with the horseback riders onscreen. “We’re kind of just trying things out – see[ing] what kind of [stuff] sticks and what people are interested in, and trying to build on that,” Willick said. His vision for the Apollo is rooted in the foundations of the name itself, which he sees as a harkening to a bygone era of cinema. While Apollo has invested heavily in the experience behind each film, and plays a lot of classics, Princess has taken an approach that likens to their art-house origins in 1985: hosting a plethora of touring film festivals, first-run films and smaller Canadian cinema. “We distinguish ourselves through the product we play,” Tutt revealed. But where does that leave streaming services like Netflix? Interestingly, both owners had only positive things to say about the service. While Willick views it as a kind of competition to television, he doesn’t see it as a direct competitor to his own cinema. As far as competition goes, Tutt has turned his sights to “the backyard barbecue, camping in the summer, gardening [and] outdoor patios.” Environments that bring people together. This really begs the question: is local cinema redundant, or is it true cinema? 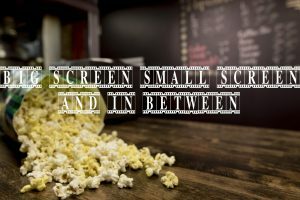 It boasts smaller screens than the multiplex and so many films are released every year that there’s bound to be at least one streaming video that would be of interest to any viewer. But that’s why local cinema is so important. 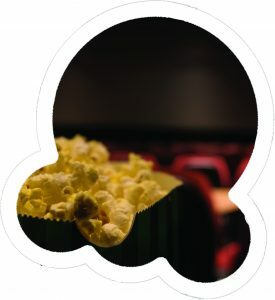 Even if we don’t consider the direct implications of shopping local and keeping our dollars circulating in the area – rather than sinking them into faceless corporations – it’s still worth recognizing that local cinema is able to thrive by consciously choosing to do so and working hard toward that end. Big cinema is getting bigger and progressively more homogenized and home media is all turning to long, binge-able series. With an insane influx of ‘cinematic universes’ on the big screen and an obsessive force for compulsively watchable, incredibly long adaptations on the small screen, audiences need to remember that there is an in-between that pays tribute to the best films of bygone eras. This is accomplished by hosting interactive events and featuring some of the best new, under-the-radar films. And there is interplay between cinema and community at this level. Willick understands the Apollo as integrated with the city it inhabits. The Princess and the Apollo are both forced to be more than just screens leased out. Both have yearly memberships that result in reduced prices. These are a symbol of what each cinema actually represents: theatres that foster community and are directly engaged with their audiences. These are venues that respect the film and the audience. These are environments that create positive spaces for enjoying cinema that aren’t ruined by the vapid babble of impolite filmgoers who would rather converse with their friends during the film than watch. But what’s the point of any theatre, now that the business has become so streamlined and digital releases are made just as easily available from opening day? “I think movie theatres will still have a function to play in the whole scheme of things,” he said. 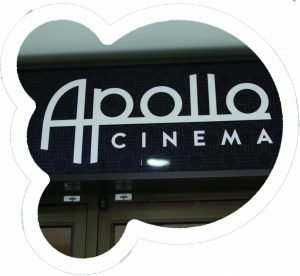 The theatres that create a unique space for watching actually good movies – whether that’s out of commercial necessity or out of a love for the product – these are our culture’s own version of the true cinema. These are our cinéma vérité.